I am a professor in the Biology Department at the University of Massachusetts, Boston. My official UMB Web Page. I received a BS in Biology from MIT in 1985 and PhD. in Biological Sciences from Stanford University in 1992. From 1992 to 1997, I worked in the Biology Department at MIT; from 1997 to the present, I have been at UMB. I teach the first semester of the two-semester introductory biology series of courses for Biology Majors (Bio 111). I have flipped this class and developed a wide range of blended learning activities for the course. 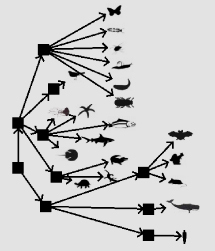 I also teach an upper-level biology course (Bio 362) where students build simulations of biological phenomena using the language StarLogoNova some sample projects can be found here. Finally, I develop educational software and conduct research in Biology and Biology Education. More information on these can be found at the links to the left. In 2013, I teamed up with Eric Lander from MIT's Broad Institute to develop a Massively Open On-line Course (MOOC) in General Biology called "7.00x: The Secret of Life". This free on-line course includes lectures, problem sets, exams, and more. It uses the software I have developed in the problem sets and exams. It can be found at edX. The MOOC was integrated into Bio 111 starting in Fall 2013. In 2006, Michelle Mishke (MIT) and I published a book of practice problems for Introductory Biology courses. This book is sometimes called “The Problems Book” or “APAIB”. It contains problems on Genetics, Biochemistry, Molecular Biology, and problems that integrate all three components. It also included a set of very detailed solutions to all of the problems in the book. The book also makes extensive use of software simulations for practicing with these materials. The Software for the Book. In the book, this is referred to as “111 Materials” since these were primarily designed for my Biology 111 course. Warning #2: If you are using OS X version 10.8 ("Mountain Lion") you will need to consult this link for details on how to run the software. I am part of the BioQUEST Curriculum Consortium and through this I develop software for teaching biology. I work in close collaboration with Ethan Bolker of the UMB CS department and his students to develop much of this software. These are designed to allow students to explore biological phenomena through interactive simulations. All are freely-available from the links below, open-source, and subject to the GNU Public License (GPL). All are written in Java, which is freely-available at this link. If you use this software for teaching, please let me know. That way, I can collect feedback for further development and document uses for grant-development purposes. THANKS! Aipotu. An interactive simulation linking Genetics, Biochemistry, Molecular Biology, and Evolution. jsPedigrees. A tool for exploring pedigree genetics. Students can draw a pedigree and then the software will determine which modes of inheritance are compatible. The Phylogenetic Tree Constructor. A tool that allows students to select organisms for constructing trees using molecular phylogeny software. Tree Building Applet. Allows students to draw a phylogenetic tree of 20 familiar organisms. I have also developed several other pieces of Biology Curriculum. The Phylogenetic Collection Lab In this lab, students bring in samples from 16 different phyla to explore the diversity of life. Paper describing and evaluating the lab activity. The Wire Protein Folding Lecture Demo In this lecture demonstration, students use a piece of wire to explore protein folding. Paper describing and evaluating the lecture demo. My research program investigates Biology Education. I am currently looking for graduate students to work on these projects as well as others. Interested students should contact me by e-mail brian.white@umb.edu; information on applying to the UMB Biology Graduate Program can be found here. My research program focuses on the development and evaluation of materials (often, but not always software) for teaching Biology at the undergraduate level. Our current research focuses on students' use of the on-line materials in the flipped classroom - specifically, my Bio 111 course which I flipped in Fall 2014. What fraction of the on-line videos do students watch and when? What fraction of the questions do the students answer? How much time do students spend on the site? How often and where do students "scrub" the videos (move the playhead backwards or forwards)? How often do students watch the video before answering the questions? How often do students look at the question before watching the video and then answering the question? How do these behaviors correlate with exam scores? How are the frequencies of these behaviors influenced by changes to the grading of the problems? Following up on our projects listed above. Analysis of student learning outcomes in Bio 111 and 112. Controlled experiments testing effects of different labs in Bio 111. I also like to build electronic projects on my spare time. I have a website that describes these projects.